About 30 per cent of India’s one billion population lives in cities. This number is nearly equal to the total population of the US. The projections indicate that the urban population will be close to 600 million by 2031 and many metro cities will emerge by then. Already, the number of metro cities with population of one million and above has increased from 35 in 2001 to 50 in 2011. The number is expected to rise to 87 by 2031. All this would require increased investment in the urban infrastructure. These investments will define livability of the cities. At present, 70 to 75 per cent of modes of commuting in most of the Indian cities comprise of walking, cycling and public transport despite the skyrocketing numbers of motorised two wheelers and cars in the last two decades. This variation in modal shares among the above mentioned modes has a relationship between size of the city and its per capita income. Small- and medium-sized cities have a lower income than the mega cities and thus dependency on private modes there is comparatively lesser. The World Health Organization (WHO) now classifies disability, unproductive life years, and premature deaths that are related to road injuries as a significant health impact of motorisation. According to the Union Ministry of Road Transport and Highways, close to 500,000 road accidents were reported in the year 2012 and as much as 11 per cent of global road-injury deaths occur annually in India alone. Urban transport reforms have taken roots in India. The momentum for this has come from the national policies as well as state government programmes. With the introduction of a new mission, 100 smart cities and 500 cities in India will be rejuvenated and transformed with an allocation of close to Rs 1 lakh crore, for a period of five years. The Union Cabinet has already cleared Prime Minister Narendra Modi’s pet projects—smart cities spread across the country and a new urban renewal mission named after Atal Bihari Vajpayee, replacing the existing one named after Jawaharlal Nehru. “Smart city aspirants” will be selected through a “City Challenge Competition” intended to link financing with the ability of the cities to perform and achieve the mission objectives. Each state will now shortlist a certain number of “smart city aspirants” as per the norms that will be indicated and will prepare smart city proposals for further evaluation to seek support from Centre. The move is expected to recast the urban landscape of the country to make it more liveable and inclusive but how do they tend to achieve that as this is not the first urban renewal mission launched in India to improve the urban infrastructure. A similar mission was launched in India in 2006, known as Jawaharlal Nehru National Urban Renewal Mission (JNNURM), and was a reform driven Central assistance programme for development of infrastructure to provide fast track and planned development for the 65 targeted cities in India. Funding was tied to a set of mandatory and optional reforms targeted at municipal governance and sectoral reforms. It envisaged a total investment of US $20 billion over seven years, which is equal to funding in the smart cities mission. While the overall JNNURM reforms had targeted all urban infrastructure sectors, the transport sector had hogged about quarter of the JNNURM funds. Even though about 30 states and union territories qualified for the JNNURM funds, transport sector funding was allocated majorly to Delhi, with mega cities bagging the maximum numbers of projects. For getting approval for transport projects, the guidelines recommend that the transport infrastructure improvement schemes should be in compliance with the NUTP (National Urban Transport Policy) that had laid down the guiding principle for sustainable mobility with clear thrust on public transport, non-motorised transport, and transit oriented development. The project analysis, however, showed that the identified and approved projects were not in sync with the spirit of the NUTP. The actual spending has been locked in car centric infrastructure. In JNNURM, under the transportation reforms, the roads and flyovers category dominated with as much as 70 per cent of the total number of projects and 15 per cent were mass-transit projects. In the name of promoting public transport, cities came up with new public transport systems such as Bus Rapid Transit (BRT) and rail-based systems like Metro, Light Rail Transit (LRT) and monorail. 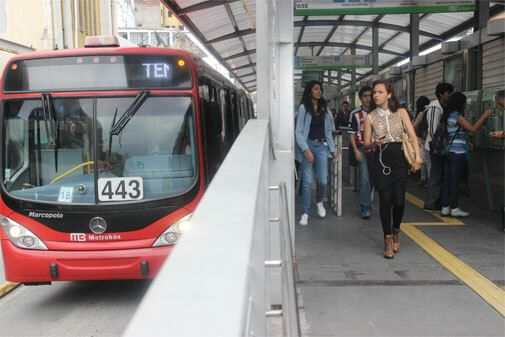 In many cities, BRT and bicycle-inclusive plans were approved by the Centre with less focus on space for pedestrians and cyclists. This was despite the fact that nearly 50 per cent trips are made on foot, by bicycle, or by intermediate public transport systems in Indian cities. The mandatory reforms enlisted and envisaged under JNNURM scheme required city development plans to be prepared (in 2005) and stated certain mandatory and optional reforms but they did not mention any reforms for urban transport. The second economic stimulus package in 2008 was tied to several reforms specifically related to transport sector such as creation of urban transport fund, parking policy, advertisement policy and constitution of Unified Metropolitan Transport Authority (UMTA) that is duly notified by the state, at the state and city levels. The funding of transport projects was to be done in two installments; the first installment was given to the selected cities which showed interest in procurement of buses from the central government. However, a mandatory clause for release of second installment was giving detailed statement of each of the reforms at city and state level. The status of reforms track showed that of the total 65 cities only five to ten cities had implemented at least one reform. The monitoring and evaluation framework for the JNNURM programme was archetypal of any government-sponsored programme which rested on tracking of utilisation of monetary funds associated with physical targets of construction work with least attention to benefits accruing to the mass. The main focus during JNNURM mission and now in smart cities approach is introducing new technologies as the argument is that it will solve the traffic chaos and will serve the high-density demands expected on a few corridors in the city but Indian cities have high-density developments in the form of urban slums. This is one of the reasons why a good integrated system is more in demand. But most of the cities which have developed metro systems have really not looked into a holistic approach of planning which fails the system in a city and thus pushing people to depend on private transport. The other pillar of managing Indian cities is their governance. The poor state of governance in India cities is evident to any citizen living in one of them. According to McKinsey report on India’s urban awakening, since by 2030 many of Indian cities and metropolitan areas will become larger than most countries in terms of both GDP and population, it is vital that India addresses such questions. Without comprehensive city governance reforms, India will deteriorate even further and rapidly. There has to be better cohesion between the various agencies responsible for urban development and planning. Every urban plan will need to have a long-term view only then will economic growth happen otherwise such missions are a big failure and create monstrous disasters in the form of flyovers and high investment mass transit projects with no proper feeder services, high accident rates and risk to health through increasing air pollution. This is really a very nice piece of information. I guess that this article will enlighten several minds and it is nicely compiled and accumulated. I have a bit of information about Mini Trucks on Hire but still I found this informative. Very good work by you guys. Appreciate it. mitradibooking.com agree with you. you nicely explained transporting need. we are providing truck,tipper,heavy vehicle and loading vehicle.